It is a mistake to think of herbs as being somehow related to one another purely because they all smell pleasant or have similar culinary uses. They are as distinct from one another as a carrot and a cabbage and will have different cultural requirements as anyone who has attempted to grow a selection of herbs in a pot will know – invariably one takes over as others go to seed or die off. Herbs have been known throughout civilisation around the world and have been used throughout history for as long as flavouring for bland food has been required. Early man would have been attracted to the pleasant smell and taste of certain plants and passed this knowledge on down the generations via family members. This shared knowledge would have grown as civilisation advanced. Herbs are commonly known for aromatic or tasty leaves but flowers, roots or seeds may also be used. Strewing herbs had some insecticidal properties and were used to mask bad smells in the Middle Ages and less sanitary times. Lady’s bedstraw, sweet woodruff and wormwood are no longer widely grown but were formerly mainstays of the Tudor household. They were widely grown in the gardens of the great houses and more modest cottage gardens of the peasantry. Victorian and Edwardian conservatism gave way to post-war freedom of travel and interest in foreign cuisine, along with immigrants bringing their traditional herbs and spices to this cosmopolitan country, much to the benefit of our shops and markets. The rise of the takeaway and health food shops have changed the way we shop and eat, so meal times are very different to our parents’ and grandparents’ generation. Modern TV chefs advocate the use of handfuls of fresh herbs in stark contrast to the rather conservative approach of those in the 1960s and 1970s, for whom a pinch of dried herbs was considered enough to flavour a bolognaise. Of course, the strident flavour and nutritional benefit of fresh herbs far outweighs the rather musty whiff of an old jar that has been in the back of the cupboard for years. Equally, fresh home-grown herbs are going to have far more freshness and flavour than those bought in shops and are much cheaper. Herbs are now used more liberally mixed in with salads for added piquancy. Exotic herbs such as basil, coriander and dill leaves are usually annual, tender plants that grow from seed and live for only one year. 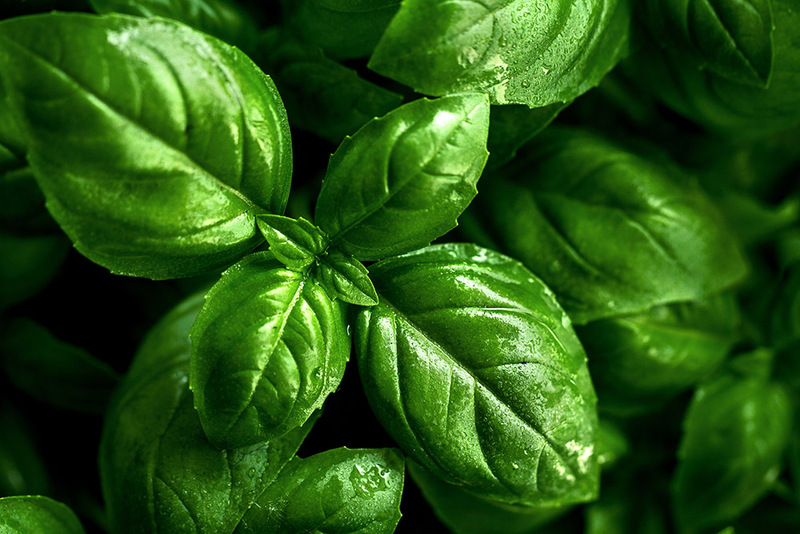 Traditional British herbs such as parsley, chives and mint are often used sparingly in sauces or as a garnish. They require moist, fertile soil in part shade to do well and will do well in pots of multi-purpose compost. A sprig of mint in with the boiled potatoes or a few chopped leaves of parsley in with a potato salad was as good as it got in the 1970s. The old favourite mint sauce is usually made from the old Bowles mint variety and is traditionally served with roast lamb and little else in the same way as the horseradish sauce only came out with roast beef. Today, it is acceptable to mix things up a bit – horseradish makes a fine addition to mashed potatoes while mint is great mixed with yoghurt to accompany curries. They may also be used to liven up smoothies which seems a great way to introduce their flavour to a younger generation in search of enlightenment having been reared on e-numbers and junk food. 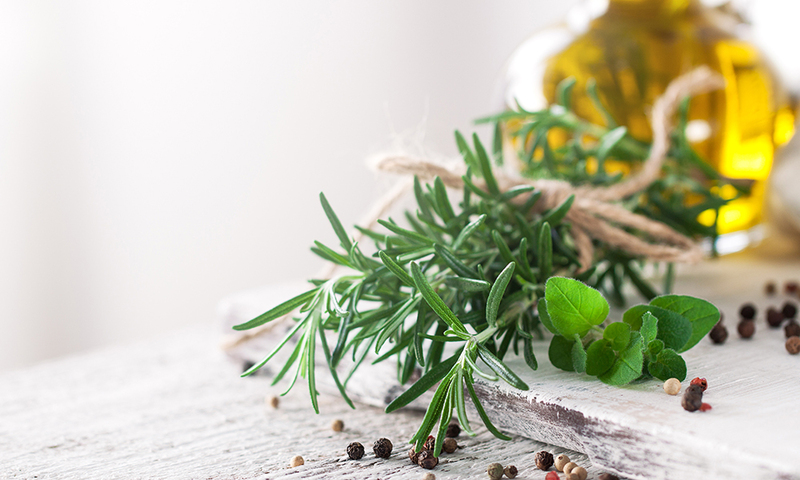 Mediterranean herbs such as sage, rosemary, thyme and oregano are often woody shrubs or sub-shrubs requiring a well drained position in full sun to develop their strong, pungent aromas. They are perennial and will often live for many years and will tolerate occasional trimming for kitchen use but won’t stand being cut hard back unlike chives and mint. It pays to have a number of your favourite herbs so that only one is harvested at any one time, allowing recovery time in between. If grown in pots, use a soil-based John Innes compost, perhaps with additional grit. Although they can withstand the cold, our wet winters and heavy soil will cause them to fail. 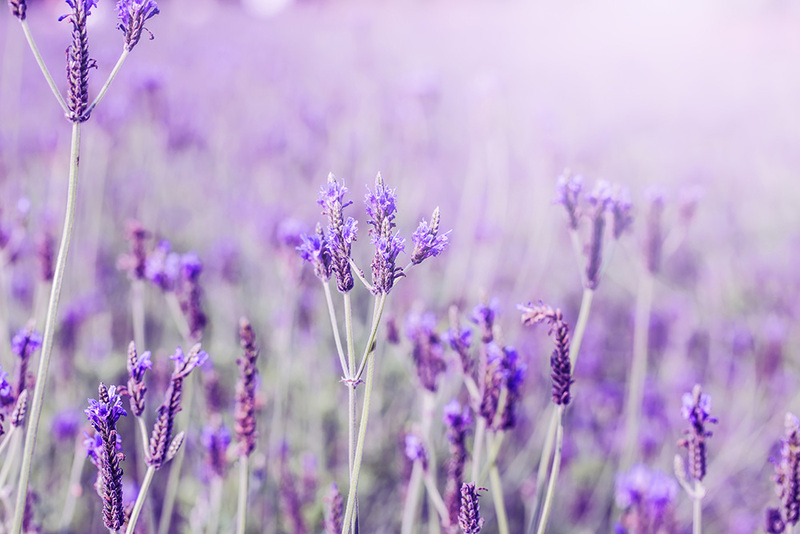 Lavender has similar cultural requirements but has few culinary applications other than using a few flowers to decorate cakes but many uses for pot-pourri and to fragrance rooms. Many people grow these herbs just for appearances and their ability to attract and sustain pollinating insects either in pots and containers or larger numbers in the garden. A lavender or rosemary hedge will be alive with bees come flowering time and will reward those walking by with a waft of fragrance as they brush past. Herbs aren’t just for cooking however. They also make excellent hot drinks – a refreshing caffeine-free alternative to tea and coffee. Perhaps the best is mint tea – a sprig left to steep in boiling water for five minutes makes a wonderfully refreshing drink. Black peppermint is good as is spearmint but by far the best is Moroccan mint, which is worth growing for this purpose alone. Lemon Verbena is another less common herb which makes a lovely invigorating, citrus-flavoured tea. It is not a hardy plant however and will need winter protection or treating it as an annual and replacing it each year. Many herbs have been used for centuries by herbalists for their medicinal properties to treat a variety of ailments. Such knowledge was once held by monks in monasteries but was lost with their dissolution while ‘wise women’ with knowledge of plants and potions have long been treated with suspicion or persecuted for witchcraft. Chamomile makes a soothing tea, great for relaxing at the end of a stressful day and is not just to be enjoyed by flopsy bunnies, while feverfew has long been used to treat headaches. It is wise to stick to only well-known family remedies or consult a qualified herbalist to be on the safe side regarding dosages and possible side effects.